Water is arguably the most precious natural resource for our growing population. It’s crucial to everything from cooking, cleaning and drinking to driving turbines and generating power. Because of this, reservoirs are vital components in the process of collecting, storing and protecting this valuable resource. But due to factors like erosion, storm runoff and even deforestation, the accumulation of silt, sand and debris — or sedimentation — can easily clog reservoirs and dams. Left untreated, excessive runoff into a reservoir deposits large amounts of minerals and nutrients that lead to an explosion in algae and plants. In a process called eutrophication, an overabundance of plant growth chokes the water of oxygen and subsequently endangers the aquatic and animal life in its ecosystem. Clearly, it’s critical to combat the effects of sedimentation and prevent eutrophication. Fortunately, a reservoir dredge provides an effective method of removing unwanted debris from the body of water before it becomes a problem. Reservoirs are often found in remote locations where the water supply is safe from boat traffic and other human-related pollutants. However, when it’s time to dredge a reservoir, it’s often challenging to transport the dredge to the remote body of water, as well as launch and retrieve it once it’s there. Also, if the excavator or hydraulic dredge is too large, it can cause damage and erode the shoreline around the reservoir. The resulting negative impact on the delicate ecosystem’s balance can threaten the quality of the water, as well as the aquatic and animal life that live there. 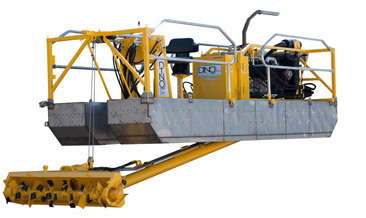 The Dino6 Sediment Removal System is designed to be the industry’s leading compact dredge that’s capable of minimizing disturbances to shorelines, aquatic life and the overall environment while still performing high-quality dredging. It removes sediment, sludge and silt — plus, it eliminates weed growth and reduces algae problems. 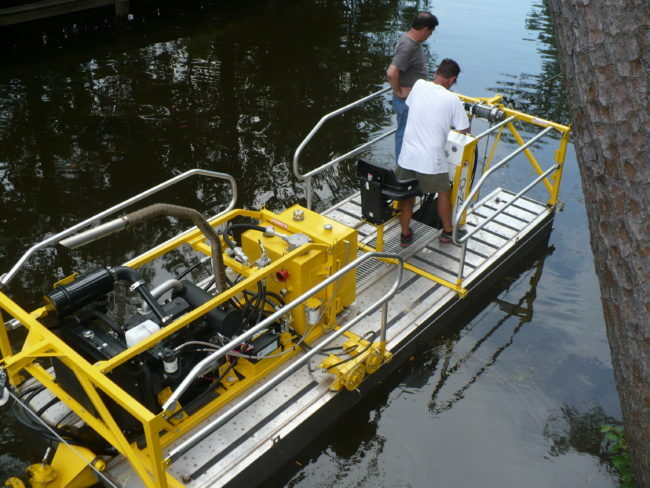 Moreover, it’s a highly transportable dredge that works better than many machines twice its size. Portability: Weighing in at only 3800 pounds and able to operate in only 14 inches of water, the Dino6 features world-class portability. 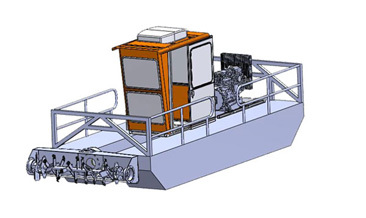 With a length of 22 feet and a width of six feet, its footprint is a mere fraction of what other dredges require for their operation. Accessibility: While most dredges require two or more trucks to haul and assemble them, one truck and one trailer can haul the Dino6. This means you can reach remote areas other dredges simply can’t get to — plus, you can launch and recover the Dino6 with ease once you get there. Capabilities: Despite its compact size, the Dino6 is an exceptional machine. 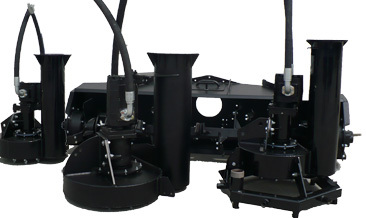 It features a 1500 gpm pumping rate, can pass three-inch debris and is equipped with a high-torque, direct-drive cutter head. What’s more, it’s highly efficient, since it uses only three gallons per hour of fuel when pumping. For more than two decades, GeoForm International Inc. has been designing and manufacturing professional-grade pumps and dredges. That’s why we’re so confident in the Dino6. It’s built from experience with our entire team standing behind its performance. Moreover, we’re always ready to give you the support and customer service you’d expect from the best in the industry. For equipment recommendations and answers to all your dredging questions, contact us today. We’re committed to being your reservoir dredging expert.